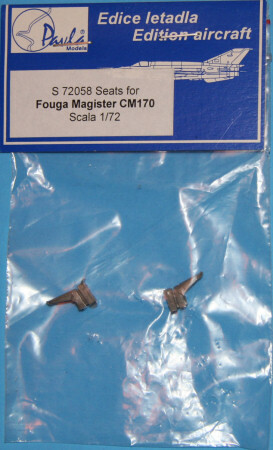 If you are making an open cockpit display of a 1/72 scale Fouga Magister, then you'll need proper "furniture" for the pilot seats. 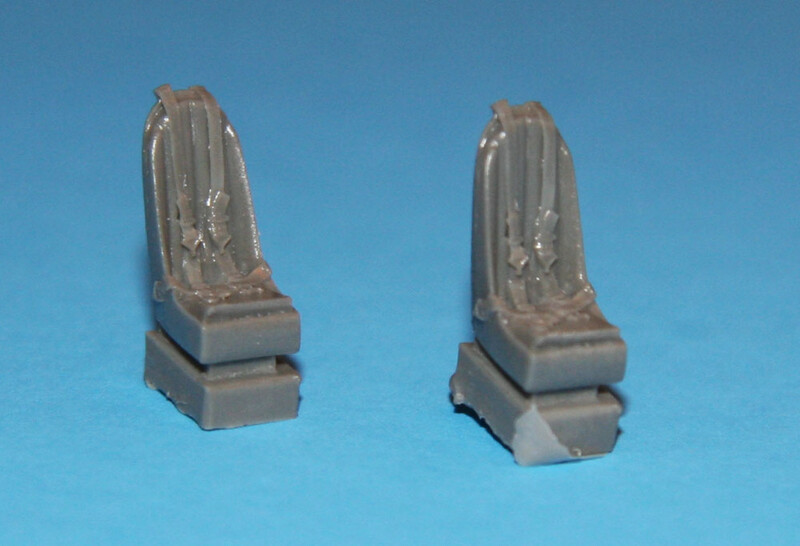 Look no further than Pavla Models' latest offering of upgrade poly-bag sets such as their kit number S 72058 Fouga Magister resin seats. 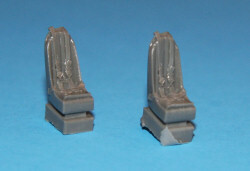 They come two to a bag and have nicely sculpted harnesses.